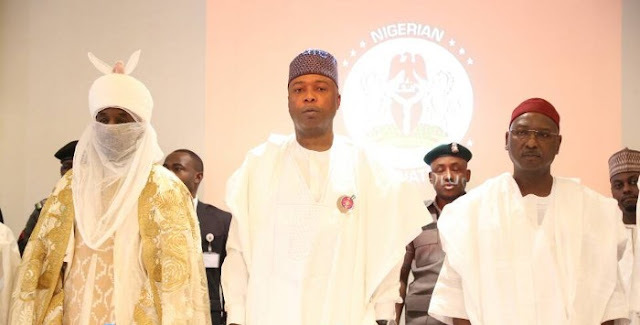 The President of the Senate Dr. Bukola Saraki has vowed to tackle the menace of drug abuse from its root by going after importers and distributors of drugs. This is even as the Senate begins a roundtable with state governments, local governments, traditional rulers, the Pharmaceutical Council of Nigeria and NGOs, to tackle the menace. In a series of tweets on his twitter handle @BukolaSaraki, Saraki stressed that the tackling the interplay between dirty money and drug importation and distribution would help tackle its prevalence. Saraki expressed grave worry at the current spate of drug abuse saying that even nursing mothers were held by the clutches of drugs and other substances. The President of the Senate therefore vowed that the roundtable will send a clear message to all Nigerians about its resolve to tackle drug abuse. “The #DrugAbuse epidemic has been of a particularly virulent nature, touching all social strata and afflicting families and young lives. Not even nursing mothers are spared; future generations are already endangered. “The stark reality is that so many Nigerians are shadows of their former selves because of drugs. This is intolerable. Furthermore, the very dangerous interplay between dirty money and drug importation, distribution and abuse must stop. “We need to better understand where the strengths and weaknesses of our drug enforcement agencies lie, in order to be able to take measures to strengthen them.